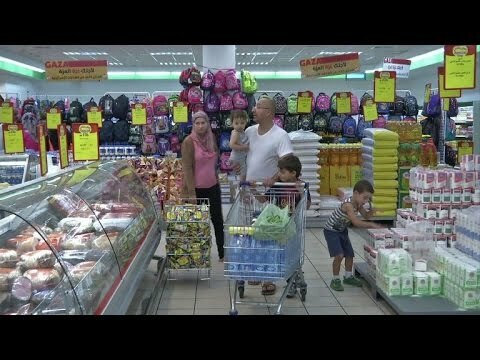 Could a Palestinian Boycott Pinch Israeli Economy? NABLUS (Ma’an) — In the last two months, Palestinians across the West Bank have begun heeding calls to boycott Israeli goods in increasing numbers as popular campaigns have taken to the street to promote the campaign. Economic analysts say the campaign could potentially have a major negative effect on the Israeli economy, and buoy the Palestinian economy as well. According to the Palestinian Central Bureau of Statistics, the annual Palestinian consumption of Israeli exports around $3.5 billion, while Palestinian exports to Israel only amount to around $600 million. Azmi Abd al-Rahman, the Director-General of Policy and Economic Studies and spokesman for the Palestinian Ministry of Economy, told Ma’an that “If applied well, the boycott could create between 70 to 100 thousand job opportunities in the Palestinian lands by providing billions of dollars annually,” which were otherwise being siphoned off to Israel. Abd al-Rahman suggested that these jobs could bring unemployment in the occupied Palestinian territories down by at least a third. He warned, however, that Israel would set major obstacles in order to block the Palestinian boycott campaigns, despite the fact that Palestinian consumption does not surpass 6 percent of the total value of Israeli exports. He said that some Israeli companies had even started to lower the prices of their products in the Palestinian market by as much as up to 20 percent in order to increase their attractiveness. Abu Baker added that the many countries around the world are starting to boycott Israel, and it is most important for Palestinians to boycott Israel, despite the obstacles they face under Israeli military — and economic — control.